Welcome to the Program Analysis group at IIITD. We are located in the IIITD campus in New Delhi. With the phenomenal growth in software development, it's impossible to ignore the need to develop tools that will enable users to build, verify and validate software systems. Engineering techniques and IDEs are getting more and more sophisticated. So are compilers, testing tools and other utilities. Underlying these systems is the technology that allows us to analyze programs. Program Analysis is mainly bifurcated into two branches of study, static and dynamic analysis. 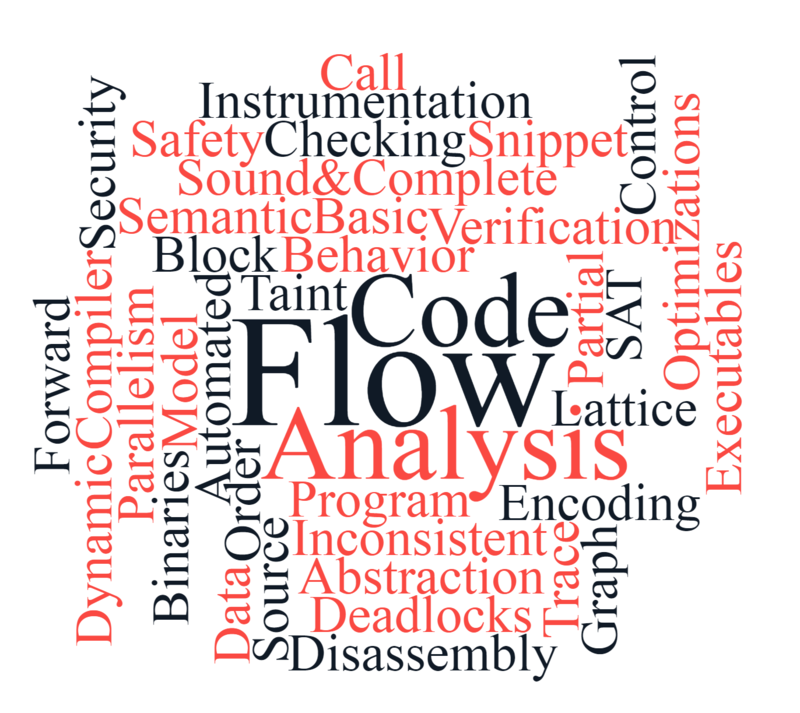 Static analysis focuses on all techniques and tools that allow us to explore the source code without having to execute it. Dynamic analysis is about the hooks that we may apply to analyze an application's behavior during runtime. There are plenty of interesting research areas and research problems related to Program Analysis. Our research is primarily focused on developing tools and techniques to help developers build software efficiently and correctly, and to ensure that programs demonstrate intended behavior. More specifically, the former part of our research focuses on assisting programmers with the tools that help programmers understand the existing code and efficiently find code fragments to build complex software systems. On the other hand the latter part focuses on techniques to ensure that software applications fais less frequently and if they do, they do it gracefully by reporting the error and possibly also performing the error diagnosis. The techniques that we develop include static program analysis and runtime monitoring as well as hybrid techniques that combine both. In addition to safety properties, we are interested in analyzing programs for security properties as well as for their performance. If you find our research interesting and you are around Delhi, please feel free to stop by and talk to us. Congratulation to Devika for her research summary being accepted at the ICST'19 doctoral symposium. The symposium will happen in Xi'an, China on 24th April, 2019. Piyush Gupta receives Amit Semiwal Award for his performance and learning attitude in the course Program Analysis (CSE-503, monsoon semester 2018). The Amit Semiwal Award is a great initialtive taken by the course instructor, Dr. The paper titled 'Similarities Across Libraries: Making a Case for Leveraging Test Suites', authored by Devika Sondhi, Divya Rani, and Rahul Purandare, has been accepted to the ICST 2019 Main Technical Research Track. ICST will be held in Xi'an, China in April, 2019. The Nobel Prize in 2018 has been awarded to two American economists: William Nordhaus (77) and Paul Romer (62). They have been chosen for this honor because of their very novel contribution to the research connecting economic growth and the environment. Assembly language is a low level programming language for your computer or any other programmable devices. Program written in human understandable language such as C and C++ are compiled in to assembly language which is more understandable by microprocessors. However, there are several acceptable assembly syntaxes.